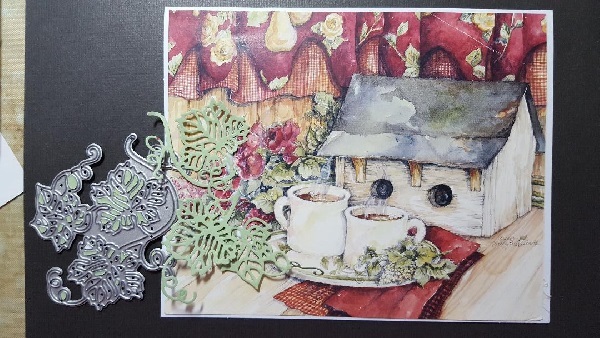 Colleen from Scrappin Granny sharing with you super easy cards to make. I had the cutest calendar with all these great photos on them and I knew that I wanted to use them as cards so I decided to enhance them a little but using dies from Dies R Us. 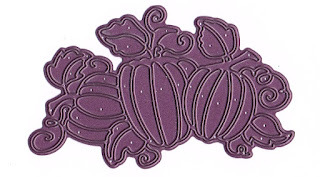 For this first card I used the Cinderella's Pumpkins by Cheery Lynn dies and cut out the pumpkins and them backed the pumpkins with an orange cardstock. I then used the Greetings die by Karen Burniston to cut out the title. This second card I used Vine die by Tutti Designs to cut out the vine with green cardstock. What I love about this die is that I can cut out the leaves and use them as needed. I used the Daisies die by Cheapo Dies and cut out the flowers and stacked them together and adhered them on top of the vine. I used the Best Glue Ever to adhere everything down. These are awesome Colleen! 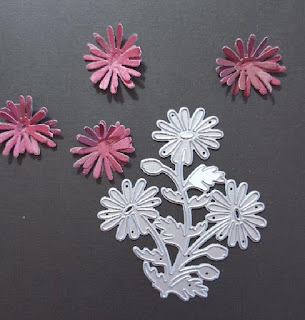 What a great recycle project and the added dies are PERFECT! Thanks for inspiration! What a lovely fall make! Fab job Teamie.